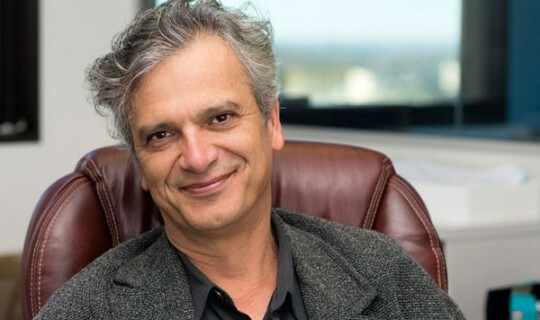 Professor Nikolas Kompridis will present a lecture on the “Greek” identity after austerity, next Thursday 22 September 2016, at the Greek Centre, as a part of the Greek History and Culture Seminars, offered by the Greek Community of Melbourne. The economically catastrophic and political turbulent circumstances both of the recent past and foreseeable future may not seem like the best time for Greeks to reconsider questions of Greek history and Greek identity; however, paradoxically, there may be no better time to think about what kind of future Greeks want for themselves beyond an escape from the cruel and punitive experiences of externally imposed austerity. What kind of society should a future Greek society aim to become, particularly when the European project has itself been put into question? It may be that there is an opportunity here for Greece to lead Europe into a less fearful, more open-armed embrace of its multiple histories and identities. Nikolas Kompridis is Research Professor in Philosophy and Political Thought and Director of the Institute for Social Justice. He is the author of The Aesthetic Turn in Political Thought (Bloomsbury, 2014) Critique and Disclosure: Critical Theory between Past and Future (MIT, 2006), Philosophical Romanticism (Routledge, 2006), and over 50 articles on a very broad spectrum of topics in philosophy and political theory. Originally trained as a musician (the University of Toronto and Yale University), he was the founder and director of the Canadian new music ensemble, Sound Pressure, during which time he worked with some of the world’s leading composers – Frederic Rzewski, Martin Bresnick, Louis Andriessen, and David Lang, among others. After a decade long-career in music he was drawn into an academic career, inspired by the Critical Theory tradition, which eventually took him to Frankfurt, where he worked with Jürgen Habermas as a postdoctoral fellow in the philosophy department at J.W. Goethe University. Drawing on the traditions of Critical Theory, Political Theory, Philosophical Romanticism, and American Pragmatism, his work has been concerned with rethinking the meaning of reason, critique, normativity, and agency from the perspective of his conceptions of “reflective disclosure” and “receptivity” (in Critique and Disclosure: Critical Theory between Past and Future, and other writings). This larger project also involves rethinking democratic practices of collective self-reflection and democratic practices of institutional and cultural change.